The former White House Counsel testifed again Nixon in the Watergate scandal. He was President Richard Nixon's White House Counsel, and he'll testify Friday at Supreme Court nominee Brett Kavanaugh's confirmation hearing on a subject he's spent the past four decades unpacking: whether a president is above the law. The answer, according to famed Watergate whistleblower John Dean, is an emphatic no. It's been 45 years since Dean sat before the Senate Watergate Committee in 1973 and captivated the country by revealing Nixon's involvement -- as well as his own -- in the scandal. Nixon would resign the following year and Dean, who pleaded guilty to obstruction of justice, would serve four months in a minimum security facility. Unsurprisingly, Dean was called to testify Friday by Democrats, who will ask him if he thinks a sitting president can be subpoenaed or indicted. It's a relevant question given the watchful eye of special counsel Robert Mueller, the recent indictment of President Donald Trump's former campaign chairman and the guilty plea from his former personal lawyer. Dean, an outspoken Trump critic, will warn the committee of the risks of a "weak check" on presidential powers that a right-leaning court could bring, according to his testimony released by the Senate Judiciary Committee ahead of the hearing. "There is much to fear from an unchecked president who is inclined to abuse his powers. That is a fact I can attest to from personal experience," Dean wrote. "If Judge Kavanaugh is confirmed, I submit we will have the most pro-presidential powers Supreme Court in the modern era." (Drew Angerer/Getty Images) Supreme Court nominee Judge Brett Kavanaugh holds a copy of the Constitution as he testifies before the Senate Judiciary Committee on the third day of his Supreme Court confirmation hearing on, Sept, 6, 2018 in Washington. As Dean knows better than most, the current Justice Department policy is that a sitting president cannot be indicted, only impeached. But no court has ever ruled on the matter. It's something Democrats have hammered home over the last four days of Kavanaugh's hearings: How might he rule if the question comes before the Supreme Court? 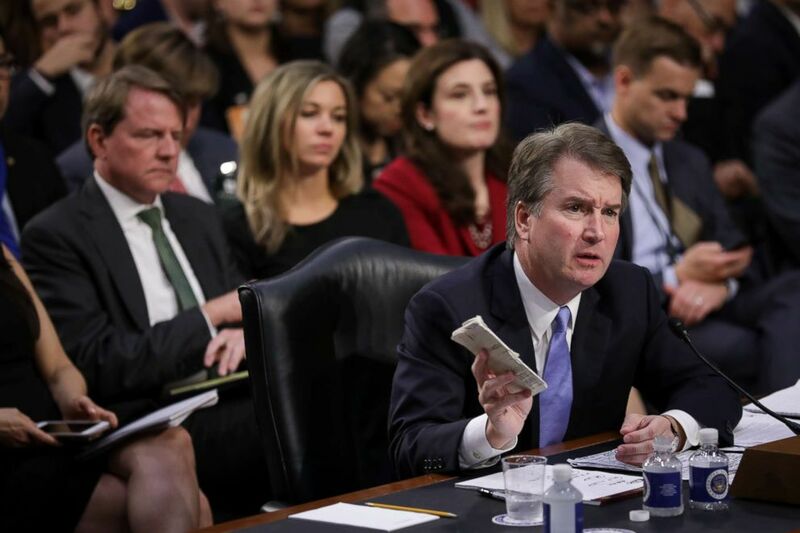 While Kavanaugh didn't directly answer, calling the question hypothetical, Democrats focused on a 2009 law review article in which he said any civil and criminal investigations of a president should be deferred until they're out of office because they're "time-consuming and distracting." In a recent podcast interview with Alec Baldwin, the actor who often plays President Trump on NBC's "Saturday Night Live," Dean said it was a "tough issue" with "arguments on both sides." "But I think that the bottom line argument is that no person in this country is above the law," Dean said. Dean was only 32 years old when he was hired as Nixon's White House Counsel. He joined the administration two years before five men, hired by Nixon's re-election campaign, broke into the Democratic National Committee headquarters at the Watergate complex, though he testified he didn't know about it when it happened. Afterward, when he began to learn the details, he engaged in the cover-up. And he testified that Nixon did, too. He was one of the first officials in the administration to do so. Tapes of their conversations were eventually released, on which Dean is clearly heard telling the president, "We have a cancer within, close to, the presidency, that is growing." After Dean was sentenced, he started on a path to educate and share the story of his Nixon years. 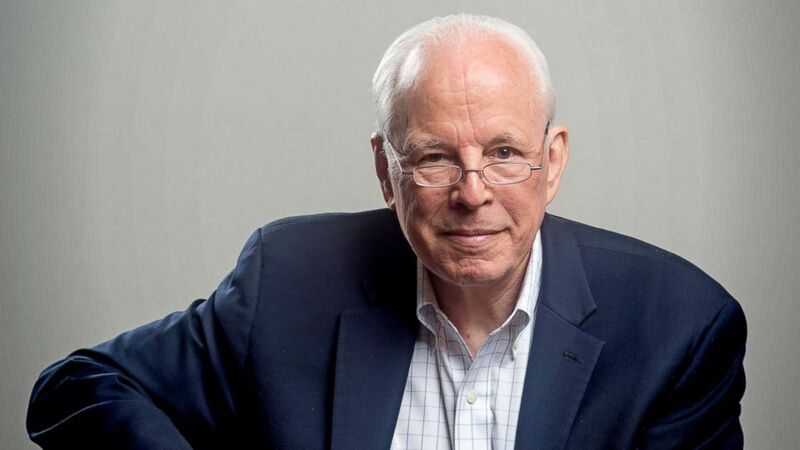 Now 79, he's written almost a dozen books on politics and history, including a day-by-day account of what Nixon knew in the Watergate scandal and when he knew it. Dean hasn't been a Republican since he testified in 1973, he said in his interview with Baldwin. He's a registered Independent, and he said he's voted for both Democrats and Republicans over the years. But he clearly disapproves of the Trump White House and often used the president's own most common medium to share why. Recently, he made it onto the president's radar. Trump, reacting to a story that his own White House Counsel Don McGahn had talked to special counsel Robert Mueller, said it wasn't true that McGahn was "a John Dean type 'RAT.'" In an interview in late August, Dean was asked to compare his experience to McGahn's. Dean has long said that he decided to testify because he suspected the administration was going to use him as a scapegoat. "Today, they are much more aware of these things because of what happened during Watergate, when we learned about these laws the hard way," Dean said. He also spoke of connections to Michael Cohen, the president's personal attorney who pleaded guilty to paying two women for their silence ahead of the 2016 election, among other charges. Cohen's lawyer, Lanny Davis, is an "old friend" of his, Dean said. "Lanny knows Watergate pretty well and saw certain parallels between his client’s situation and mine. I was happy to share with Lanny information to refresh his recollection about those times," Dean said in late August, after he was featured in the president's tweet. (Washington Post via Getty Images, FILE) Former White House counsel John Dean poses for a portrait in Washington, July 24, 2014. Dean will bring up the different arguments and statements Kavanaugh has made over the years on presidential privilege, from the nominee's time working with Independent Counsel Kenneth Starr on the investigation of former President Bill Clinton to his time working as an associate White House counsel under President George W. Bush, which Dean called "inconsistent." "In short, under Judge Kavanaugh’s view, even if a president shot someone in cold-blood on Fifth Avenue, that president could not be prosecuted while in office. And based on Judge Kavanaugh’s thinking at the time, he would give a president plenty of time to destroy the evidence," Dean wrote. He'll also give his opinion on the documents detailing Kavanaugh's time in the Bush White House that were withheld from the committee, a storyline that's dominated the hearings since day one. Dean wrote of Justice William Rehnquist and Justice Clarence Thomas, "both of whom went to the Court with clouds questioning their honesty and integrity hanging over them." "If these hearings do nothing else they should establish beyond a reasonable doubt, if possible, that another cloud regarding truthfulness of another justice does not cast doubt on the Court. This is the reason Judge Kavanaugh should want every document he has ever touched reviewed by the committee, unless he has some he wants hidden," Dean ended his statement.